Do you feel tired, drained and overworked? Have you been running around like a bunny, trying to take care of as many things as possible? Yep, been there! And I have to tell you – it may work for a long time, but the aftermath of that is not pretty. Suddenly you don’t want to get up in the morning. Everything starts to look lame and boring. Life just feels like a spinning routine with not much fun going on. 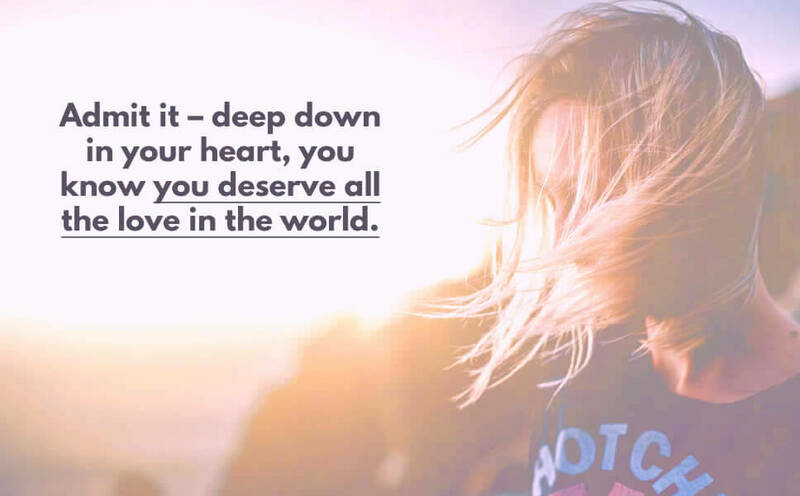 If you’ve been giving all of YOU to others or if you’ve been mean to yourself (it’s okay, I do that too), it’s time to change the things a little bit. Your body and soul needs care – ideally every day. By doing at least 10-15 activities from the following list, you will create a better, more sincere and loving relationship with yourself. My results of simple self care routines were fantastic and so can be yours! Learn to embrace your personality with all its quirks. Started to feel better about your body. Learn to keep a habit. Learn to find time for yourself daily. 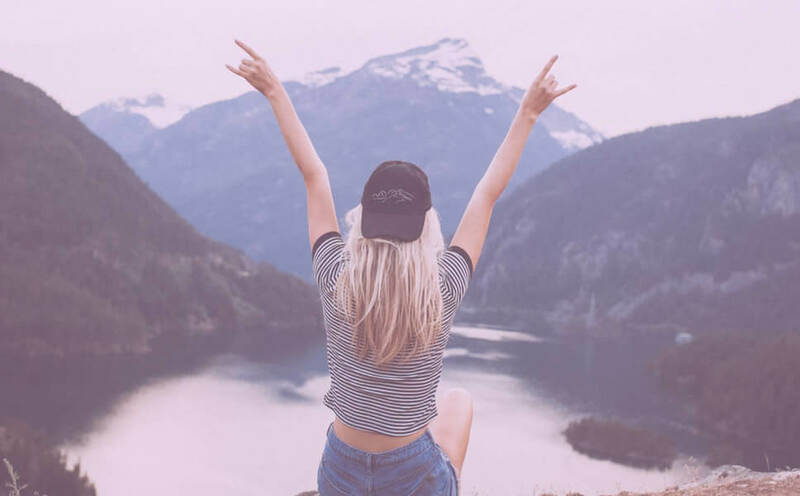 That’s just a few benefits of self care – who knew it could be so refreshing? Now, I know it can be hard to find empty time slots in your schedule. If you feel the need of some quality ME time, try to ask your loved ones for help. Maybe you can take a day off at work? Spend this Sunday without doing the errands? And please – don’t feel selfish! “I’m just skipping my responsibilities here”… That’s just unhelpful thinking. In reality, even a few hours of self care can recharge you for a WHOLE WEEK. 1. Listen to relaxing music or soothing nature sounds. 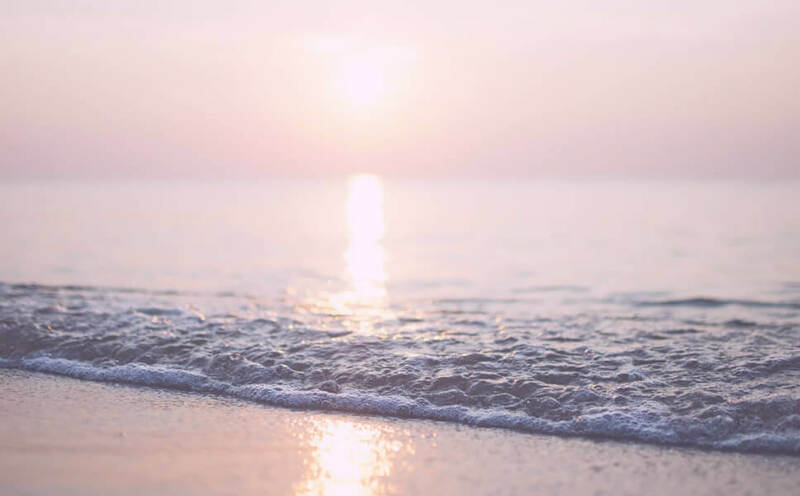 Rain sounds, beach waves, soft wind, thunder (if you like it), river stream – any sound you love hearing has the ability to help your body and mind to relax. You can download nature sounds app on your phone or find videos you like on Youtube (these have a bonus of real nature view). One of the best investments I made this year was buying a pro version of the nature sounds app I liked. Now I go to sleep with a nice rain ambiance in the room and it gets me to a relaxed mood instantly. 2. Enjoy a hot bath, shower or simply a foot bath. Warm water is an amazing relaxant and we should all enjoy it more. And I don’t mean quick showers, I mean nice long sessions in the water where you can relax and not think about shaving your legs for a while! If you can, enrich your bath with some herbs, calming essential oil blends or hang eucalyptus branches under your shower head for an extra spa experience. 3. Have at home or at a salon pampering session. Feeling more beautiful helps you feel better overall. Visit your hairdresser, go for a mani / pedi or simply schedule a mask hour at your bathroom. You will find yourself in a much better mood afterward and you will also look pretty so it’s a win-win. 4. Plan your self care routines – and stick to them. Since there are so many things you can do to reboot yourself with self care, having a plan comes in really handy. Here’s a printable Self Care planner I created just for that. It’s easy to use and helps you plan your self care activities in a cute, organized and convenient way. Plan skin care, body care, hair care, soul care and any other care – anything that is nourishing to you both externally and internally. Another thing I like about planning self care is that it creates an intention to stick with the plan so you don’t forget to spend time with yourself every day. And if you do happen to stop doing your self care, you will always have it neatly planned when you get back. 5. Take a nice nap (as long as you want!). Make it a sleep session without interruptions. Turn off your phone and please – do not set up any alarms! Try to fall asleep and wake up naturally. Sleep is your body’s natural recovery tool and we usually don’t get enough of it. So go nap, pretty! P. S. Ever tried a weighted blanket ? It’s absolutely terrific if you have trouble falling asleep or struggle with anxiety. 6. Read a positive, easy to read or inspiring book. I love books. Especially the ones that make me feel inspired. If someone asked me what’s an easy way to get some rest & nice motivation at the same time, I would tell them to go read a positivity book. It’s just a perfect way to let your mind and soul recharge! If you don’t have any books around and don’t feel like going to the bookstore for them, you can always choose e-books – these can be downloaded in minutes. 7. Spend some time with your pet or visit a local zoo. Just watching animals – the way they interact with people or each other – can feel very therapeutic. If you don’t have a pet, try to visit a zoo or a place with water birds. Go spectate, take photos and feed them (please don’t forget to choose non-harmful snacks!). 8. Go to the park or any place where you can be surrounded by nature. Sit there for a while. Spending time in nature is invigorating. I personally love wild fields and forests, but absolutely any nature surrounded place will work. 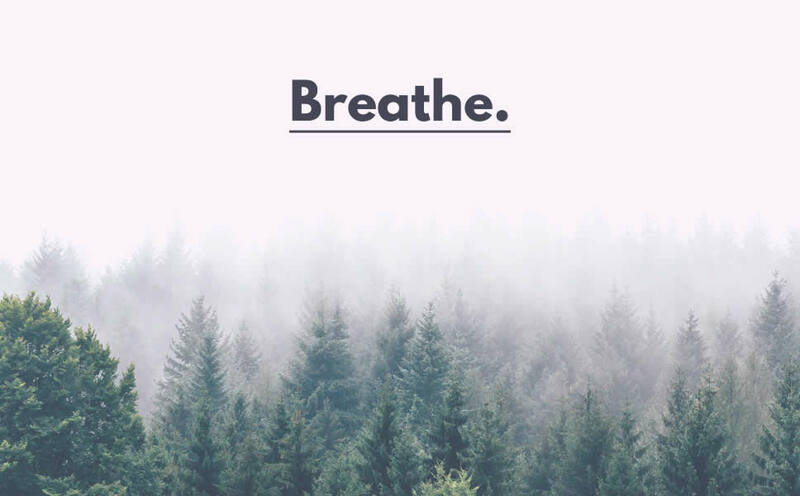 You can do a simple meditation (try to not think about anything and concentrate on your breath) or choose a guided meditation. In a guided meditation there’s someone speaking gently and telling you what to do, how to breathe or what to imagine. If you haven’t tried it yet, I really suggest you add meditation to your self care planner! You can find a lot of meditation apps for free or simply search Youtube. Yoga is a way for your body to relax and be active at the same time. It incorporates breathing techniques too so it kinda works like a moving meditation. You can start with beginner poses or stretching and build your strength with every workout. If you don’t like yoga, try Thai Chi or Chi Gung – these are quite similar to yoga and there are tons of workout videos online! 11. Remember who you are with a self discovery journal. Self discovery journaling is an amazing way to change the way you perceive yourself! A great self discovery journal can guide you through an amazing 30 day journal journey and help you find more balance, confidence, and integrity within yourself. 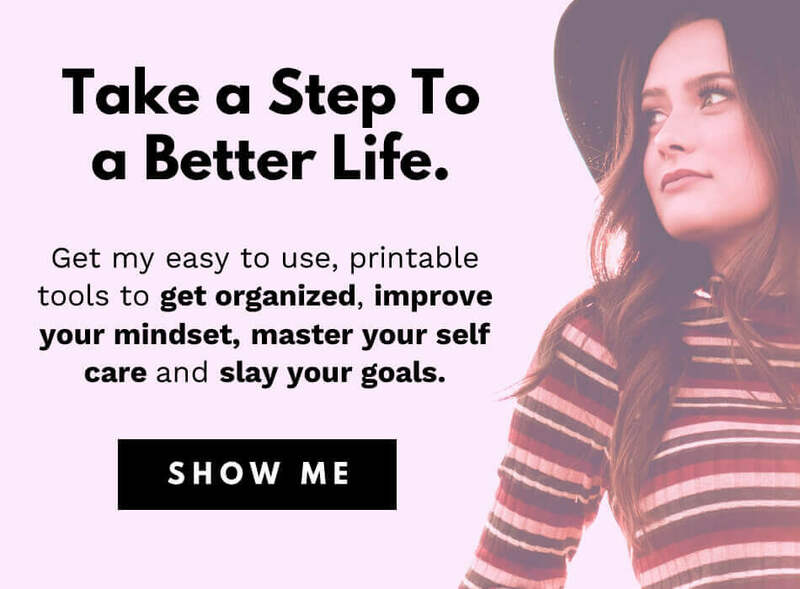 “30 days to myself” – is a printable self discovery journal I designed based on my astonishing experience while journaling about myself. This is one of my personal favorites from the store and it has helped me to create an amazing, real bond with myself as a person. If you want to finally start loving you for you, this tool is a great way to start so do check it out! 12. Cook a healthy, nutritious and delicious meal for yourself. It’s amazing how a really nutritious meal can help you feel better and even happier – that’s how powerful healthy eating is! If you haven’t had a really healthy, nutritious meal in a while, you may feel grumpy and unmotivated to do anything. It’s your body telling you to give it nutrients! 13. If you’re religious, spend a session with God. A prayer, bible reading session or a chat with another believer is a perfect soul care idea. Spending time with God will help you feel renewed, blessed and loved, plus it’s totally free, forever! If you read the Bible daily, you can enhance your Bible study with a printable Bible journal which is perfect for collecting verses and immersing more deeply into God’s Word. 14. Buy yourself pretty flowers and decorate your room. 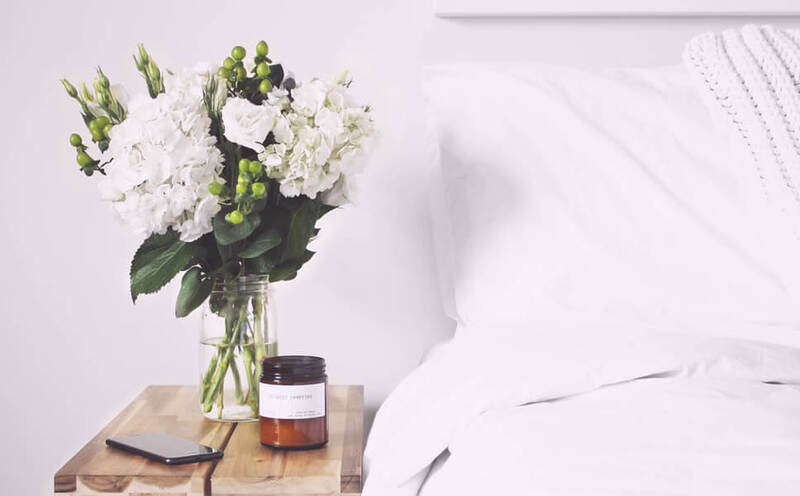 Don’t overdo this for the bedroom, but any other room can be drowned in flowers – it looks amazing, makes you feel like a princess and is a perfect self care idea for any visual person. 15. Put on a sheet mask and relax in a comfortable position. 16. Go for a walk or hike. Sitting in the same room for hours is tiring, while just changing your surroundings for a while can give you a nice overall boost. Plus, you get some fresh oxygen to your brain and your whole body. Or a shower gel. Or shampoo. Anything, pretty, just spoil yourself a little. 18. Plan your future goals & dreams. This may not be for everyone, but planning feels extremely satisfying to me. Planned future gives a feeling of control and lets your mind rest a bit – there’s absolutely no need to keep overthinking things when they can rest safely on the paper. 19. Watch videos on Youtube. People have different tastes, but the ones that work for most people are funny videos, motivational vlogs, and makeup videos. Just try to watch anything that helps your mind to disconnect from your work, tasks or problems. 20. Do something creative to express yourself. 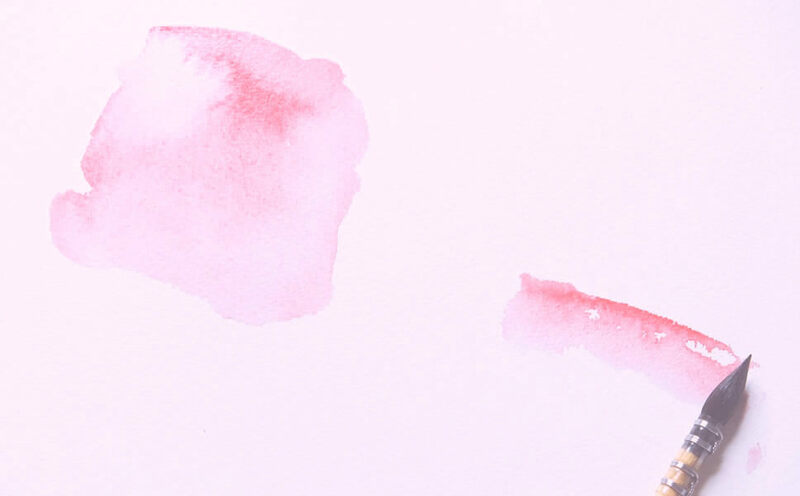 Paint, crochet, DIY things, write poetry or songs – do anything that lets your creativity flow. 21. List all the things you are grateful for. I have to admit – I find myself being cranky about silly things way too often. But finding gratitude for what I already have makes me feel free and humble again. When I feel sad for no reason, I remind myself that I have food, water, a roof over my head and a warm bed. 22. Spend a few hours (or even a whole day) technology free. Turn off your phone, tablet, TV, computer – anything digital to take a break from the digital world and electronics. 24. …Or wake up early & watch the sunrise. And if you can walk barefoot on the morning grass – you are blessed! 25. Exfoliate & moisturize your body. Another beautiful way to care for your body is dry brushing, which is basically brushing your body before the shower, with a natural bristle brush and moving in circular motions. It enhances blood circulation and is very relaxing too. 26. Go for professional dental cleaning. This one is so important to me. Having sparkling clean teeth and a healthier mouth feels so refreshing and invigorating! I always feel better after professional cleaning – for weeks! 27. Write compliments about yourself. For once – tell yourself all the things you like about yourself. Even the smallest things are important (just admit that you’re adorable). 28. Snuggle in some soft, comfy, warm clothes. … grab a cup of cocoa, a book, your cat and just relax for a few hours. 29. Look at pretty pictures online or at your local art gallery. Visually pleasing things stimulate your brain and create positive emotions. And anything positive is useful! We experience too much negative information every day already. 30. Have a make-up session. You can do that at home or book a session at the salon. It’s a bonus if it’s Friday and you’re meeting your friends after! Swimming lets your body move but protects it from unnecessary pressure on your joints. Also, it allows you to immerse yourself in water, which itself is very soothing. If you don’t have a pool, swimming in a natural lake is even better! 32. Destress with an anti-anxiety journal. 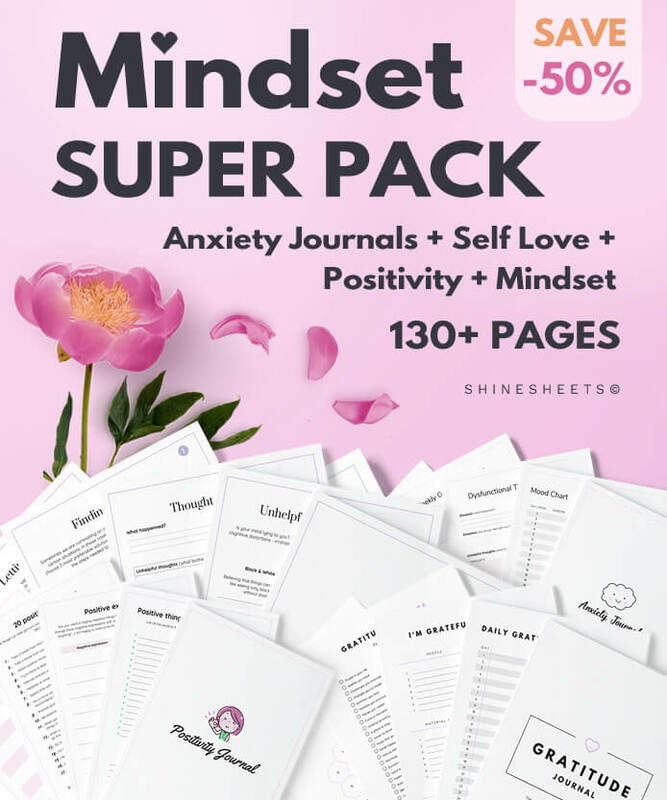 Guided or non-guided anxiety journals are amazing tools to declutter your mind and dump out negativities. 33. Shop for detoxifying bath salts, bombs, and bubbles. Or, if you want a natural bath enhancer, try mixing up your own salt-essential oil mix. 34. Allow yourself to do absolutely nothing. Just be lazy for a little while! It’s important that you don’t feel guilty while doing that or you will not feel rested otherwise. 35. Have a guilty pleasure. Have you been craving for a delicious dessert or a high carb meal? Let yourself have it and enjoy every. single. bite. 36. Binge watch your favorite TV show. Just be careful! Don’t fall in the trap of binge-watching too much. And yes, I know you sometimes watch TV all weekend. I do that too (“sometimes”). Even if you don’t know how to paint, simply try out pretty colors, brush light strokes and enjoy seeing colorful patterns. You don’t even need fancy materials, even colored pencils are enough for a short painting or coloring session. 38. Dance – how you want and as much as you want. 39. “Visit” other countries on Google Maps. This one is really fun and educating. If you don’t know how to do it, simply Google “how to street walk on google maps” and start exploring random cities all over the world! 40. Go for a drive. Choose a calm route and drive your stress and tension off. Mindfulness helps you stop living in the past or in the future. Simply speaking, it brings your mind back to the present, where it actually should be. Here’s a quick exercise: try to bring yourself back to the present moment by listing 5 things you can see, 4 things you can touch, 3 things you can hear, 2 things you can smell, 1 thing you can taste. If you like it, go for a good gaming session. Just try to choose games that aren’t too competitive or hard since it can give you an opposite effect. Write down everything. Mistakes. Bad behavior. Weaknesses. Unfinished projects. Acknowledge them and forgive yourself for everything. Set yourself free once and for all. 44. Have a mani & pedi. Go for a full nail care session! Scrub, exfoliate, massage, file, buff, apply masks, hardeners, primers, polish, decor… I’m sure I still missed something here. This one is for your spiritual care. The church is a place of silence (or heavenly gospels!) and a place where you can feel calmer, safer and complete. Go sit for a few minutes or even a few hours – you will feel renewed and spiritually rested after. … or asked your loved one to give you a backrub. 47. Let go of the past. Another unnecessary weight on your mind – past sufferings, hurts, and disappointments. Write them down. Let them go. There’s nothing you can change about the past so it’s best to just accept things happened and stop ruminating. 48. Buy a new decor item for your home. Sometimes simply seeing something new at home can feel really refreshing. And the process of looking for it is so fun! Decide on a small or bigger budget and go find something you like and then have fun decorating. … And repeat number 50 every day, for a few minutes if you absolutely don’t have time for anything else. Breathing is free, effective and you can do it anywhere. I designed a printable self care planning bundle to be your handy tool, helping you take the best care of yourself every day. Have you tried any self care activities lately? What’s your favorite one? Share in a comment down below! I love this list, definitely picked up some new ideas! I absolutely love taking a bath and putting on some snuggly clothes when I’m in need of some tlc. Thanks for sharing! Hi Emily! Thank you for reading and taking your time to comment. 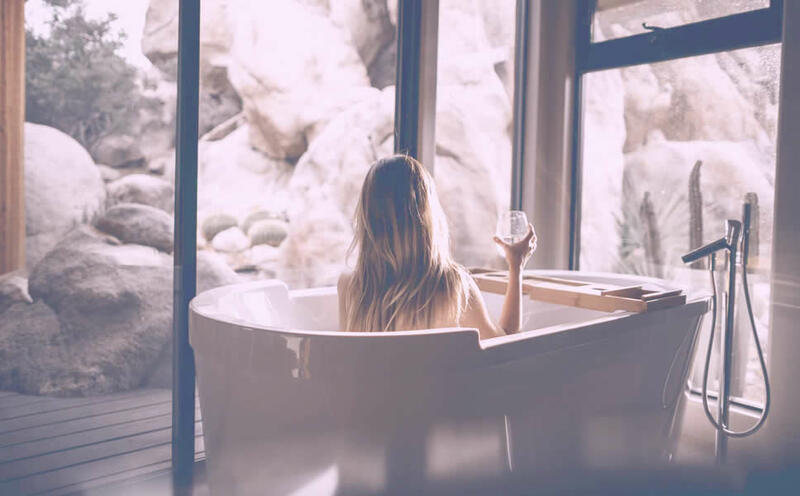 I totally agree – baths are absolutely best for relaxation, especially when combined with a cup of valerian root tea after! Nice list here. These always work for me; finding time for myself daily, gaining self-confidence, taking a nice nap, going to a natural environment and sitting there for a while. Totally helps me boost my wellbeing. Hi Pearl, thank you for your insights! It’s so true – self care is perfect whenever you need a boost or a fresh start. I’m going to share more articles soon to help you guys with your self care routines!